Princess Anna was heavily involved in politics and religion. She was an important advisor to her brother Sigismund and mediated in many of the conflicts which characterize the later period of the Vasa rule. Princess Anna, from the House of Vasa, was born at Eskilstuna castle in the year 1568. She was the daughter of King Johan III and his Polish consort Katarina Jagellonica. Like her brother, Sigismund, who later became king of Poland, Princess Anna’s life became entwined with her mother’s homeland. Little information exists on her early years but she appears to have enjoyed a loving childhood. She had allegedly mastered six languages by the time she reached adulthood. Although most likely raised a Catholic along with her brother, Princess Anna converted to Lutheranism in the early 1580s. Princess Anna’s aunt was Anna Jagellonica, the Queen of Poland, who worked hard toward gaining the Polish crown for her nephew Sigismund, and to see his sister accompany him. Sigismund was duly elected king of Poland in 1587. Princess Anna and her brother were very close and, not only was she loyal to him but she also served him as an important advisor. Her political influence over the king aroused suspicion amongst Sigismund’s Polish advisors and this gave rise to several disputes throughout her lifetime. Princess Anna also played a role in the political developments in Sweden. In 1589 she attended the meeting at Reval where the Swedish Privy Council prevented Sigismund from abdicating the Polish throne in order to return to Sweden, against the wishes of Johan III. Princess Anna, along with her similarly aged stepmother, Gunilla Bielke, attempted to resolve the resulting conflict between the king and the council. This was not the first time Princess Anna had acted as a mediator. She had previously attempted on several occasions to mediate between her father and her uncle, Duke Karl. 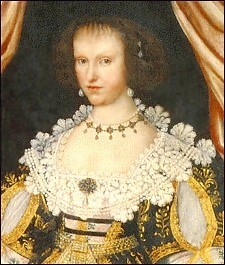 Princess Anna served as an important political link between the kingdoms during this time of tense Swedish-Polish relations. When Sigismund married the Austrian Habsburg archduchess Anna, in 1592, his sister Princess Anna formally attended the wedding in Krakow as the royal Swedish representative. Princess Anna returned to Sweden with her brother and sister-in-law in 1593 to attend their father’s funeral and Sigismund’s subsequent coronation as king of Sweden. Afterwards Princess Anna remained in Sweden, living mainly at Stegeborg castle in Östergötland. She kept her brother updated on political developments and tried to safeguard Sigismund’s interests from his uncle Duke Karl’s attacks. She also became the spokesperson for the Swedish upper nobility who remained loyal to Sigismund and thus fell out of favour with Karl. She frequently came into conflict with her uncle herself, and their relationship deteriorated after Princess Anna authorised the so-called ”Wednesday-wedding” in 1595. Princess Anna allowed her lady-in-waiting Sigrid Brahe to marry the man she loved, Johan Gyllenstierna, instead of the man she was engaged to, giving rise to a social scandal. Duke Karl felt that Princess Anna had behaved in haste and without due consideration and that her involvement would result in serious vilification – which he himself participated in. Karl slandered her in his rhyming chronicle, describing Princess Anna as a loose-living power-driven glory hunter who entertained several lovers. Princess Anna was accused of trying to usurp the Swedish throne - her father’s will had specified that she could inherit the Swedish throne – whilst also of wanting to marry her lover, the noble Gustav Brahe. Karl’s dislike of Princess Anna continued for the rest of his life. He believed that every ill that befell the kingdom was caused by the “poisonous” Anna. Princess Anna was at Sigismund’s side when her brother returned to Sweden to re-establish his claim to the throne in the summer of 1598. After Sigismund’s defeat in the battle of Stångebro that September, Princess Anna accompanied her brother to Poland where she remained for the rest of her life. However, she also participated in Sigismund’s final attempt to regain power in Sweden a few years later. While in Poland, she provided support to those Swedish families who had been forced to leave after the rise of Duke Karl, and ensured that their children were raised according to the Protestant faith. Princess Anna was also the patron of two important Protestant seats of learning in Poland, one at the University of Königsberg and the other at the Academic Gymnasium of Danzig. Princess Anna dedicated much of her time to furthering her knowledge of botany and medicinal plants, interests she had discovered in Sweden. She established herb gardens, ornamental gardens, kept an apothecary and funded the publication of Simon Syrenius’ lengthy scientific work on botany, Herbarium, which remained in use until the 1800s. Sigismund granted his sister the two fiefs Golub-Dobrzyn and Brodnica for the duration of her life. Princess Anna remained unmarried despite suggestions of various marriage alliances over the years, including some with Austrian archdukes and some with German and French princes. Marriage to the Russian heir pretender was suggested in the early 1600s. Princess Anna lived publicly as a Lutheran, which caused conflicts with the Catholic clergy in Poland. These conflicts persisted past her death. Princess Anna died in 1625, following a long period of ill health, and Sigismund was prevented from burying her in the chapel of his castle at Krakow. It was not until 1636 that Princess Anna was buried in Maria church in Torun, where a funeral monument can be seen to this day. Anna, prinsessa , www.skbl.se/sv/artikel/Annaprinsessa, Svenskt kvinnobiografiskt lexikon (article by Karin Tegenborg Falkdalen), retrieved 2019-04-23.